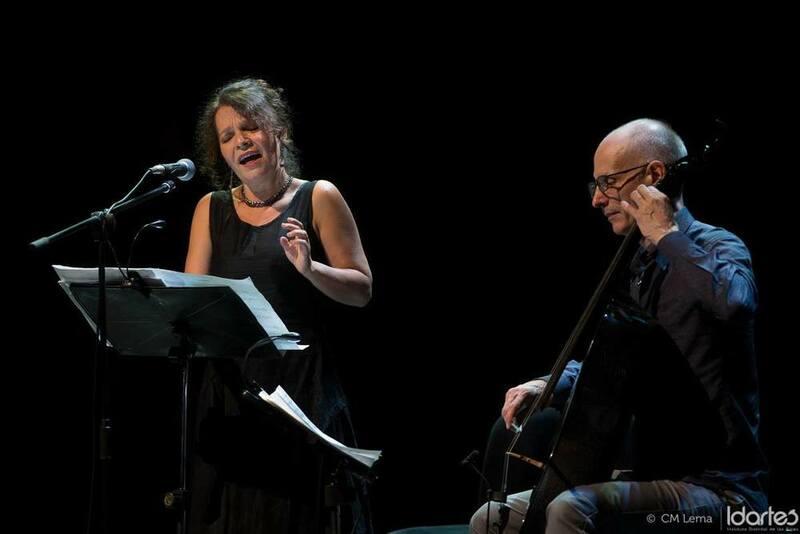 Lucía Puldio (vox) and Erik Friedlander (cello) have come together to collaborate on a celebration of Colombia, it's music and it's poets. Arrullo combines Colombian folk songs from both the Carribean and Pacific coasts with Friedlander's settings of modern Colombian poetry. 2015 will see the release of a limited edition vinyl, with a foreword by Spanish writer Ramón Andrés, and illustrations by Colombian artist José Antonio Suárez Londoño. The two will be touring March of 2016 in Europe. Concerto for Cello and 21 Instruments. Erik Friedlander's new concerto for himself and 21 instrumentalists is inspired by the Greek myth of Persephone, or Kore, who was kidnapped by Hades and eventually forced to spend half the year with him in the underworld. Although this myth is used to describe how the seasons came to be, Friedlander chose to see another side: His KORE tells of the wresting away of a loved one by death and the all too human hope that the intensity of one’s mourning will bring that loved one back to life. Loss is complicated and sometimes the loved one does indeed come back, visiting us through memory and dream. These moments are celebrated by KORE. Erik Friedlander, cello; Doug Wamble, guitar; Michael Sarin, drums; Trevor Dunn, bass. A jazz quartet inspired by the music of the American South. “Mr. Friedlander, an ingenious cellist who makes an art of soulful rusticity,“ says Nate Chinen of the NYTimes. Cellist Erik Friedlander draws on his experiences as a child traveling across the United States with his family during the 1960's and 70's to create an engaging solo performance that brings together Erik's rich, Americana-inspired cello music, his own stories from now-distant road trips, images taken by his father, the photographer Lee Friedlander, and haunting road films contributed by filmmaker Bill Morrison (Decasia). Original tunes inspired by the great bassist -- and sometimes cellist -- Oscar Pettiford. A burning trio steeped with the small group feel of Herbie Nichols. In 1949, Pettiford broke his arm playing baseball. He could still move his fingers even though his arm was in a sling, so he began experimenting with a cello a friend had lent to him. He tuned the cello like a bass only an octave higher and later recorded a series of cello-led projects. “For me Pettiford is a hero: he had a deep connection to the cello--he believed in it as a jazz instrument,” says Friedlander.